10mm scale - There are 50 figures including Command in this pack. The picture is a sampling of figures that are included in this pack, the figures come based individually. 10mm scale - There are 100 figures in this pack. The picture is a sampling of figures that are included in this pack, the figures come based individually. 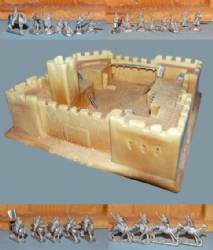 10 mm scale - There are 30 mounted figures in this pack. The picture is a sampling of figures that are included in this pack. 10mm scale - There are 20 mounted figures in this pack. The picture is a sampling of figures that are included in this pack. 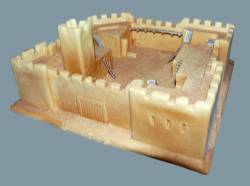 10mm scale - This is fort is cast in high density foam so is light weight and durable. It comes with some metal stairs, ladders and walkways. 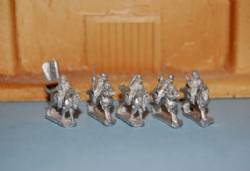 10 mm scale - This economical Starter Set includes Fort Zindernoof (FFL104) and 1 each of the French Foreign Legion figure packs: FFL100 Legionares, FFL101 Arabs, FFL102 Mounted Arabs on Horse and FFL103 Mounted Arabs on Camels.